We’ve been busy – See all that’s new! Sales are brisk, and South Shore builders are busy! Numerous waterfront homes are under construction by our South Shore team of custom-home builders. Several choice waterfront sites became available recently on South Shore Drive, with four already sold. See listings for waterfront dockable lots. 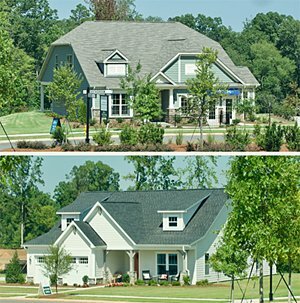 Learn about our team of custom-home builders. Call Ann Brade at ‭704-650-4951‬ for more details. Our South Shore estate-home builders have been equally busy. 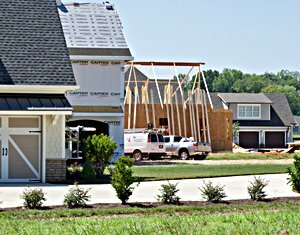 Clusters of John Wieland Homes are growing along Shimmerlake Lane, Cape August Place and South Shore Drive. 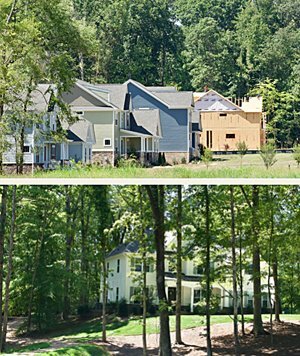 Peachtree Residential has several homes under construction and lots for sale along Seven Oaks Landing and South Shore Drive near the residents club. Several Peachtree homes and home sites overlook small ponds. Both builders have furnished models that are open daily. See listings for South Shore estate homes. Our Overlake neighborhood is rapidly taking shape, with nearly a dozen homes under way or complete and ready for occupancy by Evans Coghill Homes and Shea Homes. Both builders have furnished models near the neighborhood entrance off of South New Hope Road. Shea’s home prices start in the high $200s. Evans Coghill Homes start in the low $300s. Visit the Evans Coghill Homes and Shea Homes websites. See listings for Overlake homes. You may wonder where neighborhood names come from. In the case of The Conservancy, nothing could fit better. The name honors the Catawba Lands Conservancy for preserving 77 acres of Lake Wylie shoreline, called the Seven Oaks Preserve. 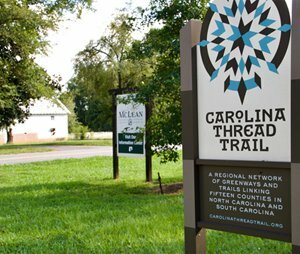 The Seven Oaks Trail is also part of the growing Carolina Thread Trail. Thanks to The Catawba Lands Conservancy, people throughout McLean and beyond can experience this unique wilderness surrounding our neighborhood. Evans Coghill Homes, one of the builders at McLean’s Overlake neighborhood, is known for its focus on high quality and excellent value. That focus was honored in 2016 when Evans Coghill was named Charlotte’s Builder of the Year. 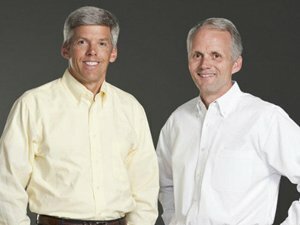 Given that success, you may be surprised to learn that the company’s founders met while building a Habitat for Humanity house, and that giving back to the community remains a top priority for founders Alan Banks and Chris Folk. Get a taste of the SC Lowcountry beginning Sept. 7 at the Seven Oaks Café. 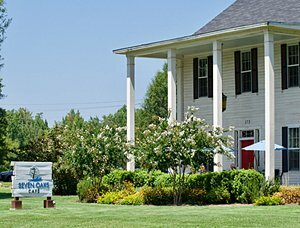 Our restaurant in the McLean House will offer weekly Lowcountry boil platters from 6:00 to 8:30 pm Fridays this fall, weather permitting. Platters will feature shrimp, sausage, corn and potatoes for $25; add crab leg and lobster tail for an extra cost. Diners can also enjoy music and family-friendly fun and games. 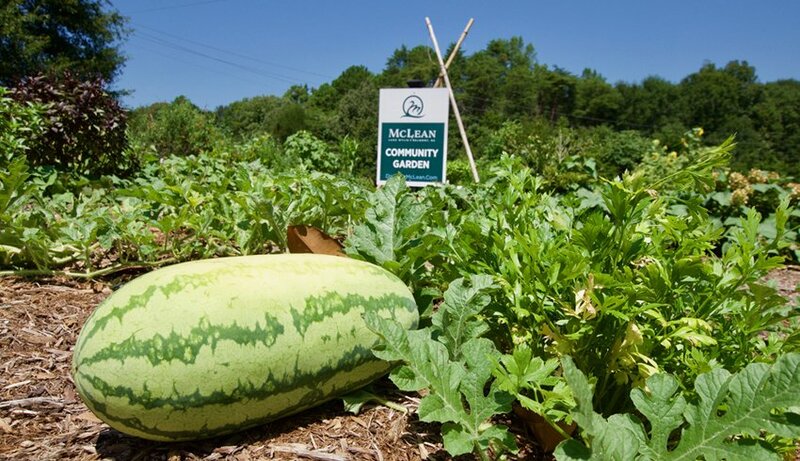 Next time you visit McLean or the Seven Oaks Café, be sure to explore the new McLean community garden near the parking lot at 175 Armstrong Road. 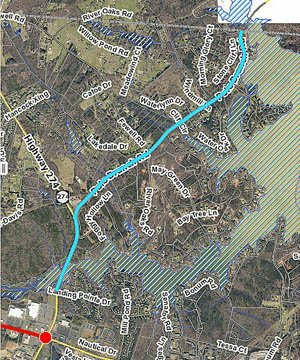 York county, SC, is transforming rural two-lane Pole Branch Road into a three- to five-lane highway. For those of you learning your way around the western shore of Lake Wylie, New Hope Road out of Gastonia turns into Pole Branch Road after entering South Carolina just south of McLean. The widening will run from the NC/SC border to Landing Point, just north of the Landing Station shopping center at SC 49. The project will take two years and $35 million to complete. The vastly improved roadway will make it much easier and safer to reach Publix supermarket and many other Lake Wylie, SC destinations.